'Snake' Game Comes to Life in Stop-Motion Chalk Art - trendistic.com: ever tried. ever failed. no matter. try again. fail again. fail better. You may remember playing the game of Snake on your trusty Nokia phone. Now the mobile classic has inspired one artist to create a video that will challenge your 3D perception. Denver-based Chris Carlson brought the legendary block game to life with chalk and some stop-motion animation. 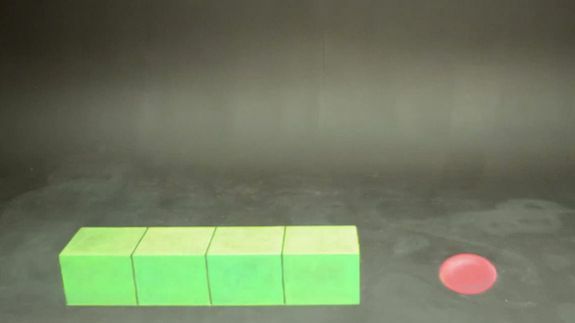 In the video, you can see the snake chasing the ball in what appears to be three dimensions. The result manages to be both nostalgic and a colorful upgrade to the monochrome original.